This anti-tank weapon is LEGIT! The Panzerfaust had limited range, limited stopping power, and required brave troops to draw deeply into a tank’s range to kill it, but it was still one of the more effective tank weapons of the war, and they instilled fear in Allied tank crews forced to drive against it. 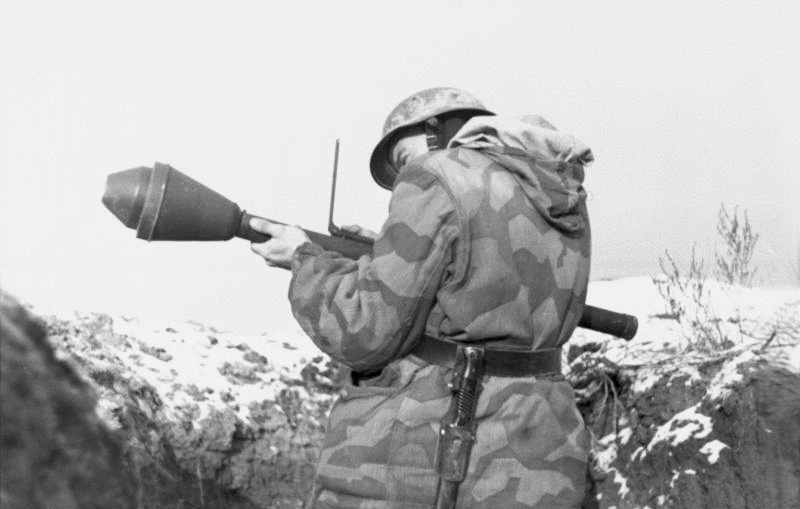 In 1943, the first Panzerfaust was created, and the shaped-charge breakthroughs were key to its design. It was a recoilless rifle that could launch a shaped charge anywhere from 30 to 200 yards, depending on the model. When the munition hit a tank, a shaped charge at the front of the warhead detonated and sent a jet of hot metal into the tank’s cabin, usually killing the crew and potentially setting off fuel or ammo stores in the vehicle. 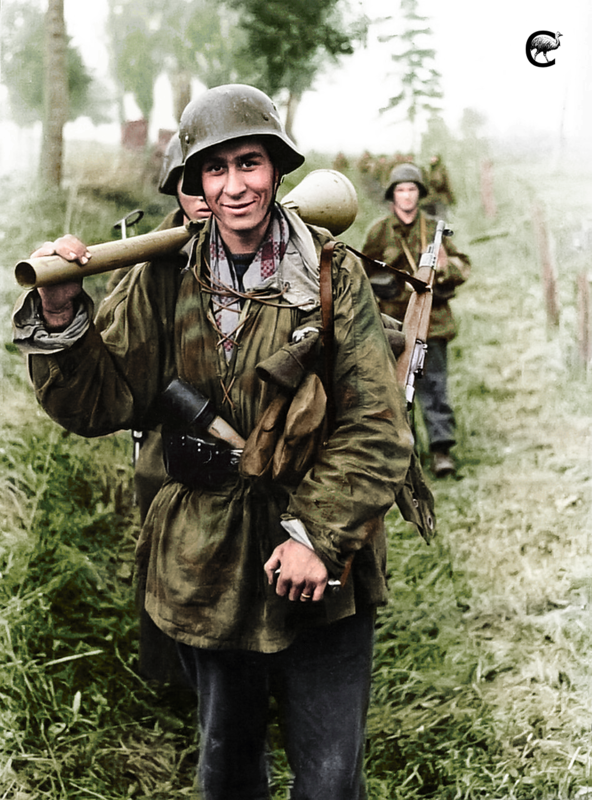 Luckily for them, the Panzerfaust did have one big shortcoming: It was an infantry weapon with a range between a few dozen yards and 200 yards, and the 200-yard variants weren’t deployed during the war. So, tank crews could slaughter Panzerfaust crews from hundreds of yards outside of the anti-tank team’s range. But only if they could spot the anti-tank teams from out of the weapon’s range. Panzerfaust teams would hide in brush or trenches and wait for tanks to roll up, or they would sneak through buildings and hit the tanks from close range.